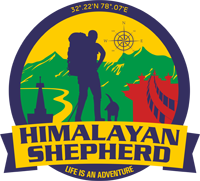 If you intend to visit the amazing Spiti valley then you shouldn’t have to settle for anything decent. Instead, you should look for something extraordinary. 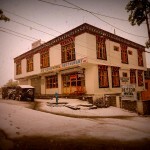 Our hotel in Kaza is ranked no 1 on Trip Advisor among the hotels in Kaza. Hotel Deyzor is unique will live up to all your expectations. 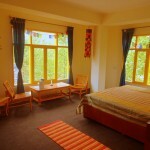 At our hotel in Kaza the personal service and travel friendly atmosphere we offer would fit any type of traveller, but especially the adventurer since that’s where our true passion lies. 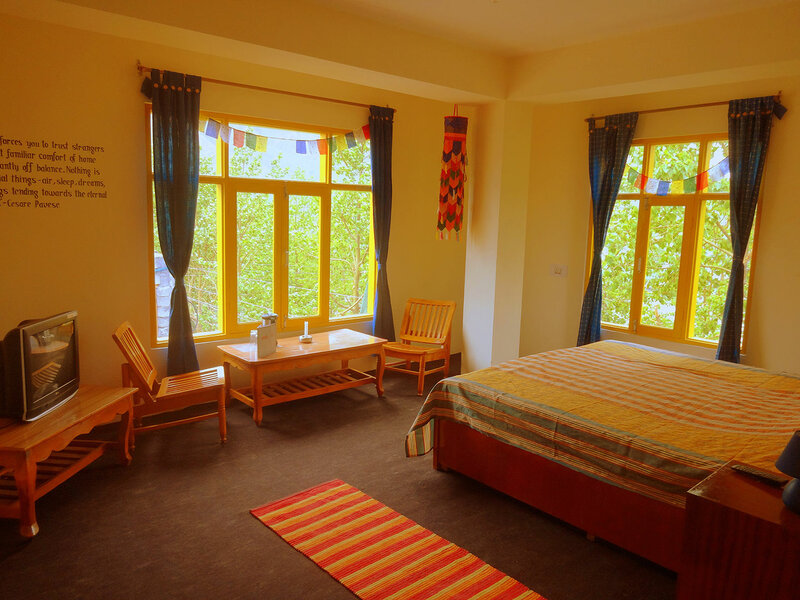 The recreational facilities like the library, games and garden café are the best among the hotels in Kaza and Spiti valley and provide you with everything that you need. 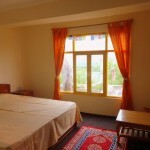 Our hotel in Kaza is a non-smoking hotel and we guarantee you that you won’t have to deal with sagging beds or dubious wallpaper, but original designs and spotless bathrooms. Our modern den comes with a soothing and informal atmosphere and the breezy and contemporary style meets a calm, cultivated mood, with original photographs on the walls. For guests staying for 3 nights or more we give a 20% discount and a 20% discount is also given on the tariff for single occupancy. Other than this we have a strict no discount policy and we are confident that no other property in Kaza can match our quality, service, value and standard. The reviews on Trip Advisor only highlight what we believe. Please get in touch with us if you plan to make bookings on behalf of groups. Depending on the size of the group we offer package prices. For guests staying with us we also offer special packages for mountain bike rentals, fossil exploration, cultural trips and treks. 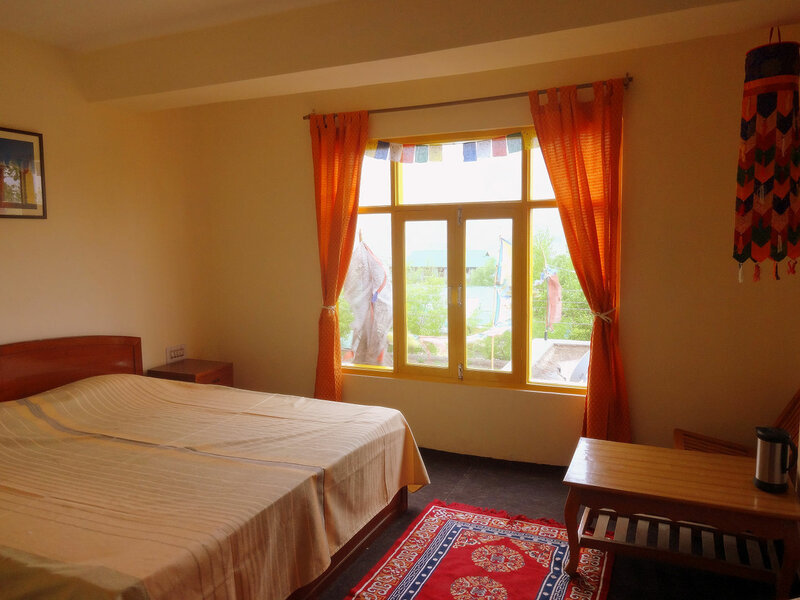 The hotel is located close to the Sakya monastery and behind the petrol pump and the old part of the village is less than 1km walk away. 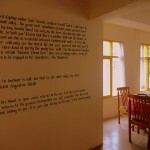 Simply by taking a short walk you would be able to get to know the village and its people. 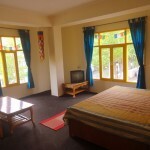 If you are interested in exploring the entire Spiti valley our hotel in Kaza is ideally located for it and we can provide a car service for you and even a tour guide if that is something that you would want. The hotel atmosphere combines the vibrant cultural life nearby which is sure to make your stay relaxed as well as complete. 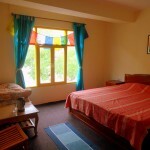 Our knowledgeable staff would assist you to understand the unique culture of Spiti and make your travel to this region a learning and enriching one.